Paul and his wife, Karen, recently purchased a home in Sacramento, CA. Their plan was to remodel it and then sell it for a profit. When they got to the garage, they knew they had a big project on their hands. The door was an old wooden garage door, and was falling a part, as you can see below. In addition to needing to replace the garage door with an updated, modern one the frame of the garage was also in need of repair. The frame itself was also not the right size for any standard size garage door. We came in and repaired and updated the size of the frame. 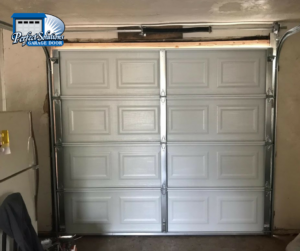 Then we were able to install a brand new one car garage door. The door Paul and Karen chose was this short UDT door. It is 25 gauge steel and comes in white, so no painting necessary! 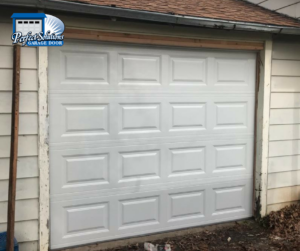 We also installed a new garage door opener, and a brand new spring so the door will operate like the brand new door that it is. 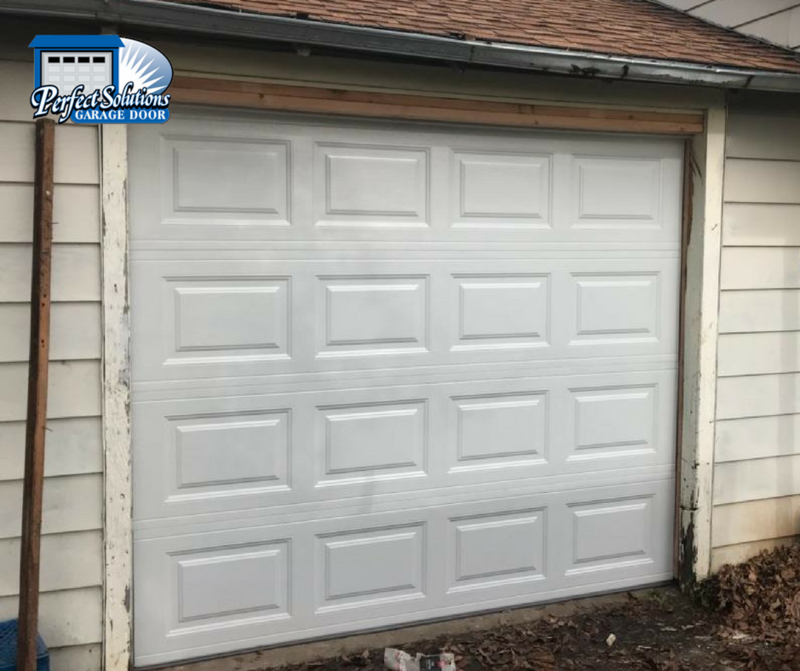 Updating your garage door before selling is important, and will help you get more money for your home. 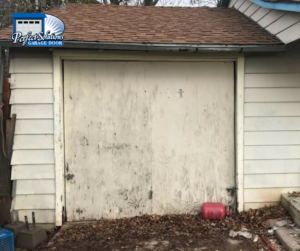 No one wants to buy a home knowing right off the bat that they need to replace or repair the garage door and garage door parts. This simple and inexpensive fix goes a long way! The UDT door they chose is a durable steel and will last for many years. 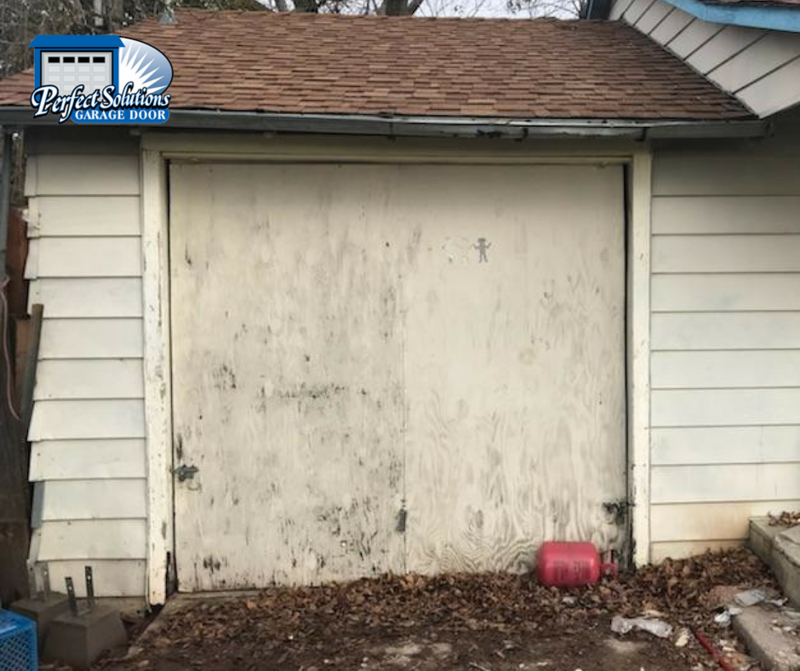 A new spring + opener can last a good 10 years, so they can market in their listing that the garage door and its parts are new and upgraded! Paul and Karen can’t wait to finish their house and get it back on the market! In the meantime, they are already enjoying easily opening their garage door to park their car.